The weather this morning was again not great - cloud was down to around 400m, it was raining and it was blustery. I drove to Nant Peris with a view to ascending Elidir Fawr to Y Garn but soon abandoned that plan and opted to stay below the cloud instead. 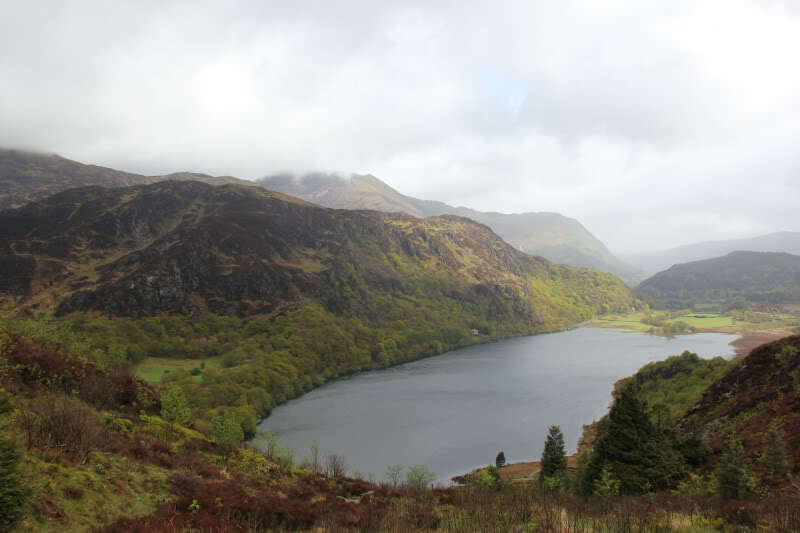 I drove round to the starting point for Moel y Dyniewyd and parked in a large lay-by opposite the end of Llyn Dinas. I sat in the car for 30 minutes waiting for the rain to stop as I wasn't keen on a repeat of yesterday, getting soaked from the outset. The rain did eventually stop and the weather started to improve . 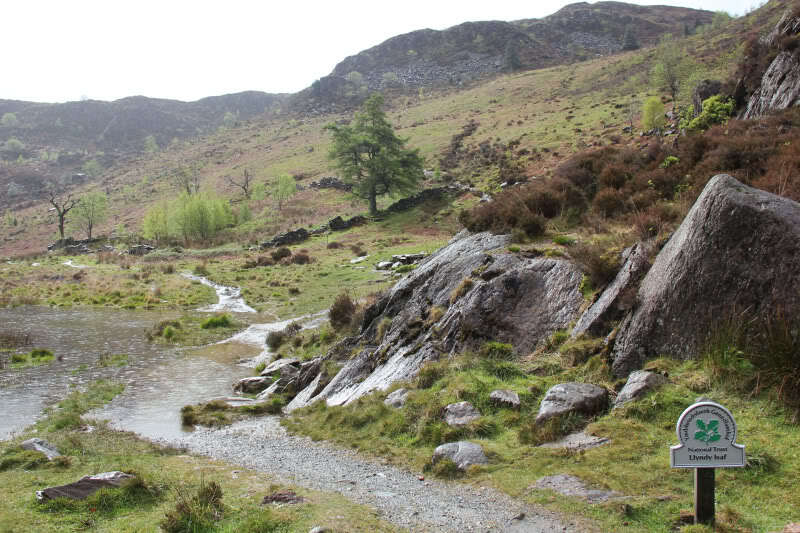 I set off round the end of Llyn Dinas heading for the bridge over the Afon Glaslyn, at the outflow of Llyn Dinas. 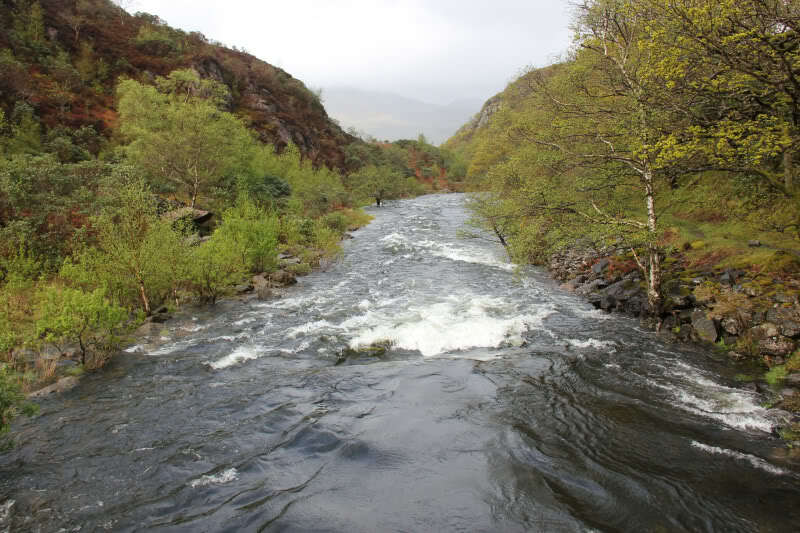 The Afon Glaslyn was really high and in spate. 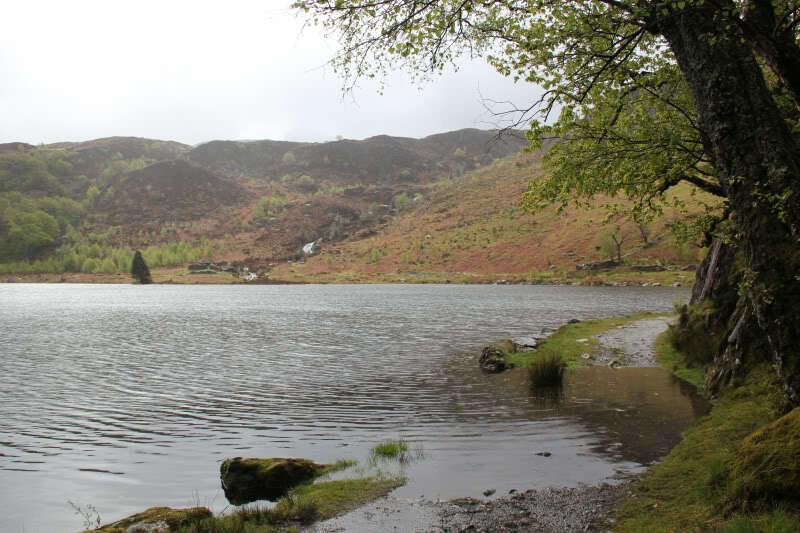 Llyn Dinas was also high, covering the path in several places. I continued to follow the obvious path uphill, making fast progress towards the 320m top. 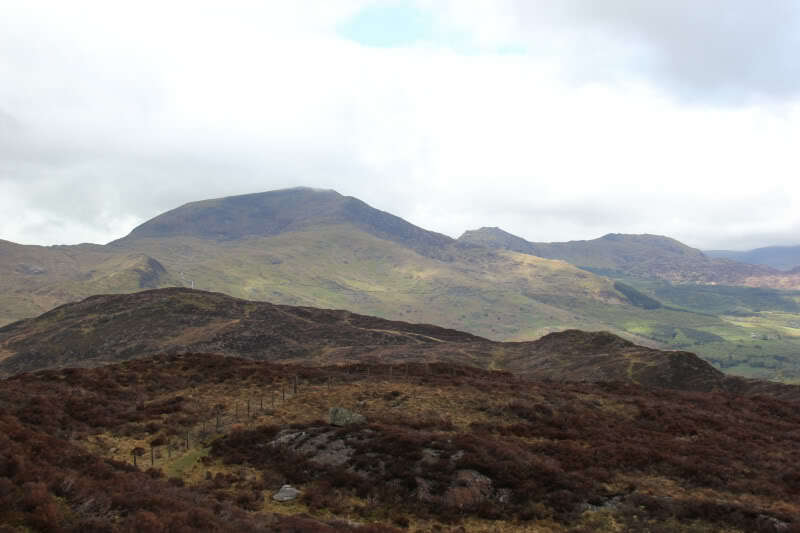 The Snowdon range was covered in cloud - the summit of Snowdon has been in cloud all week. 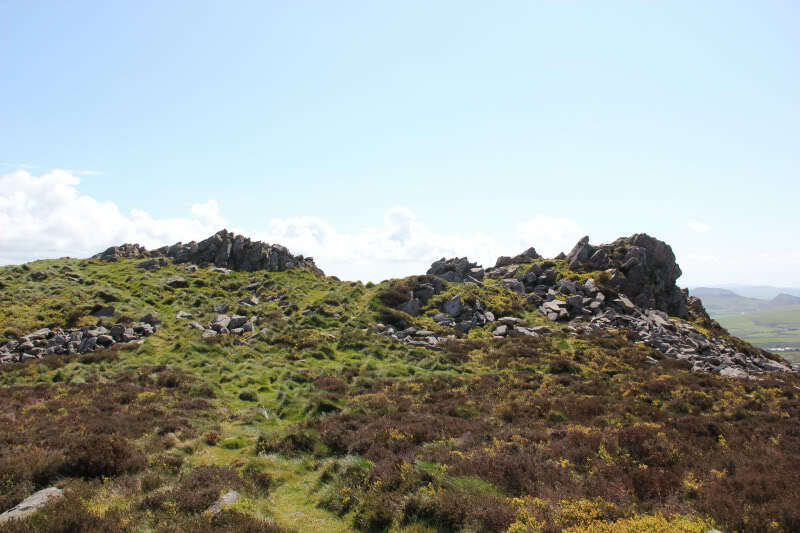 I wasn't sure if there would be a path from the 320m top towards the summit of Moel y Dyniewyd as there wasn't one marked on the map. I was pleased to find that there was indeed a path all the way to the summit . 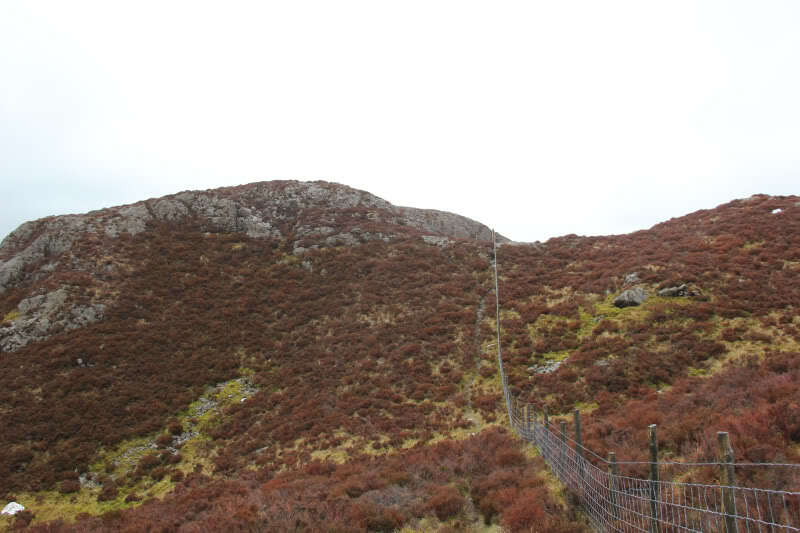 The final pull up Moel y Dyniewyd was short and steep via an eroded path alongside a fence. There are two summit bumps circa 25m apart. 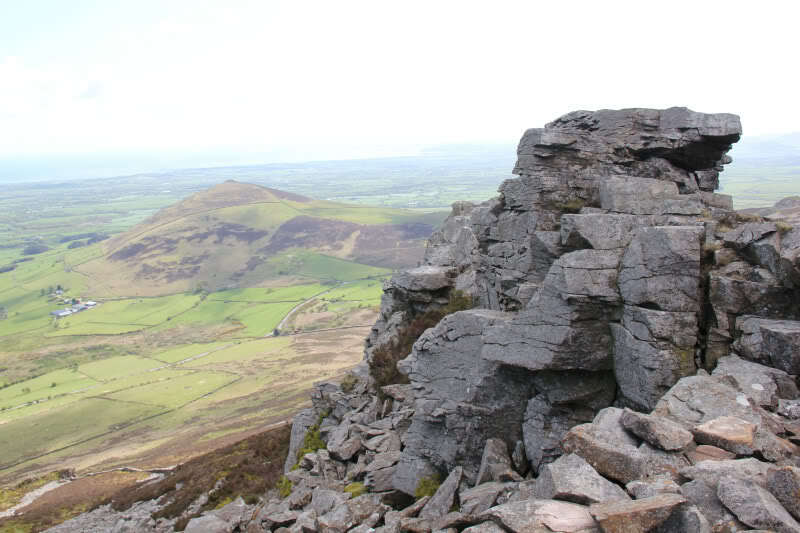 The Eastern bump is the summit. 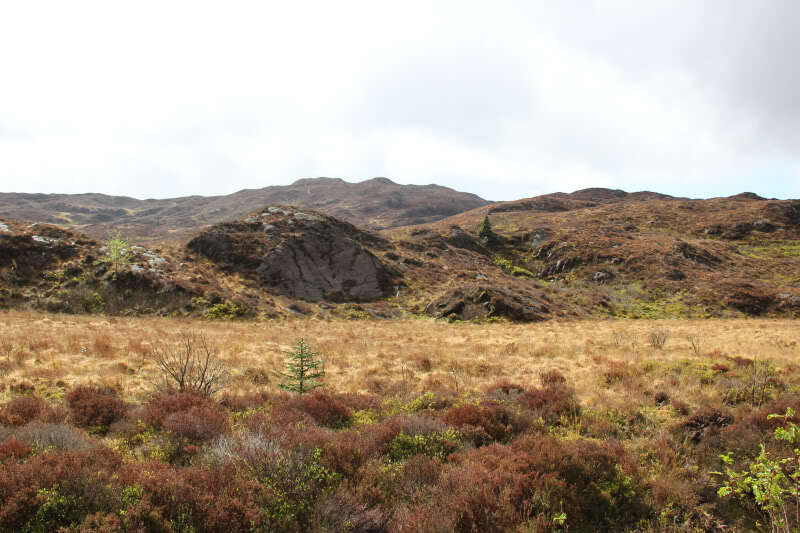 By the time I reached the summit, the cloud had lifted to around 600m and continued to lift during the descent. 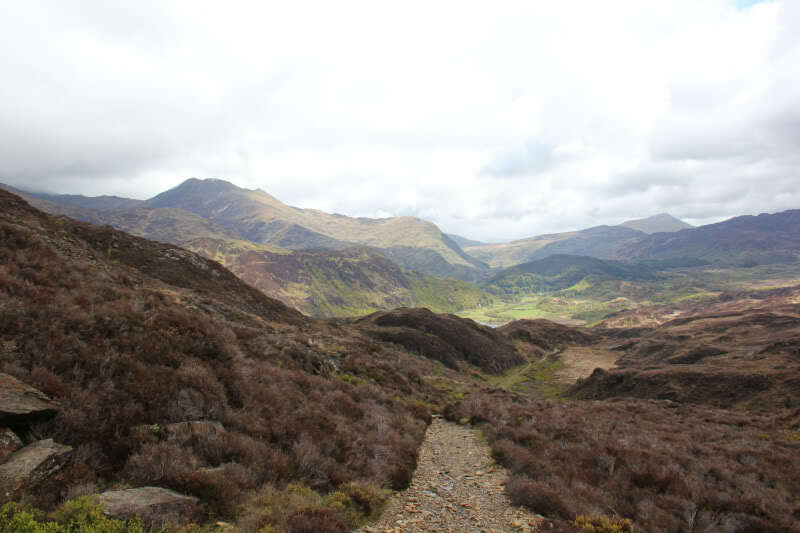 During the descent, the cloud had lifted sufficiently to get a view of neighbouring Moel Hebog. I returned via the same route back to the car. By the time I reached the car, the cloud was still sitting around 800m so I decided to stay low and ascend another Sub2000ft Marilyn. 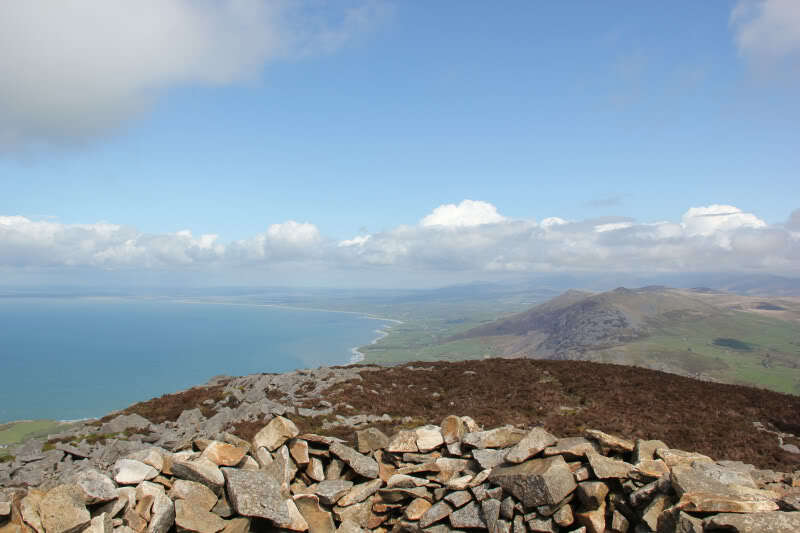 I returned to the Lleyn Peninsula to ascend my final Marilyn on the peninsula. 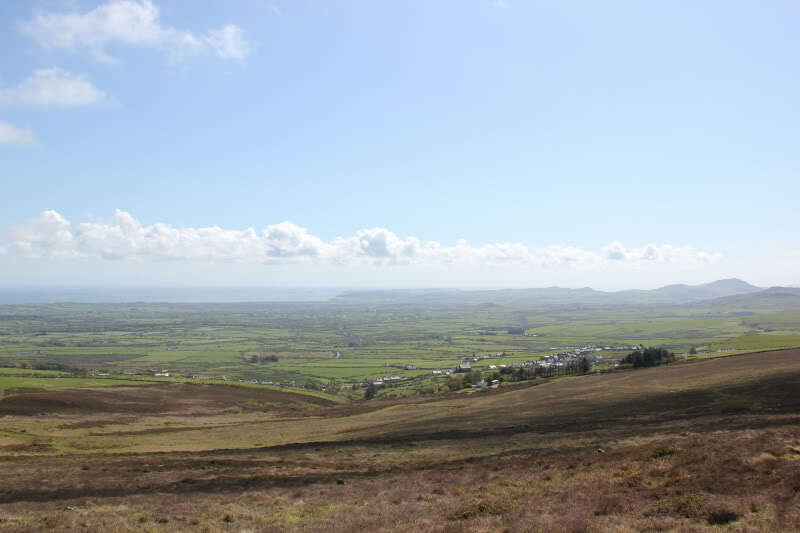 This turned out to be a great plan, as the weather was much nicer out West and Yr Eifl turned out to be a superb hill! I parked in the large car park at Mount Pleasant where there is room for circa 20 cars. 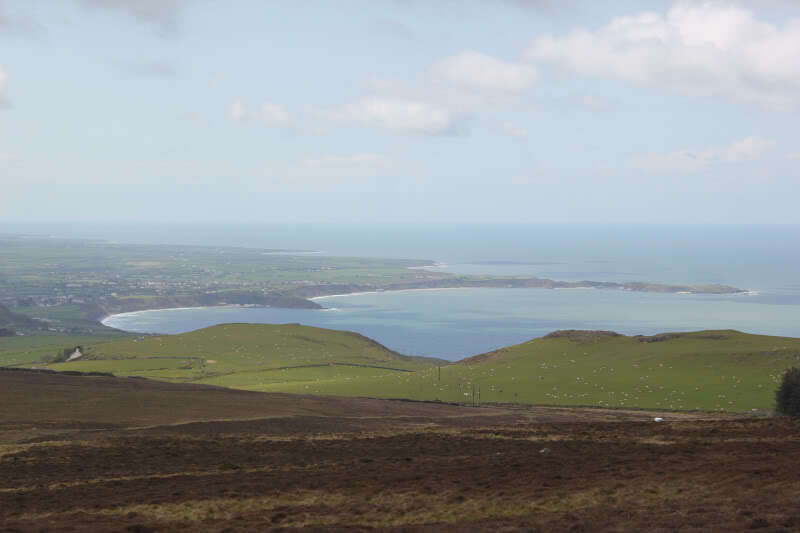 From the outset Yr Eifl and Yr Eifl North Top both looked nice hills. 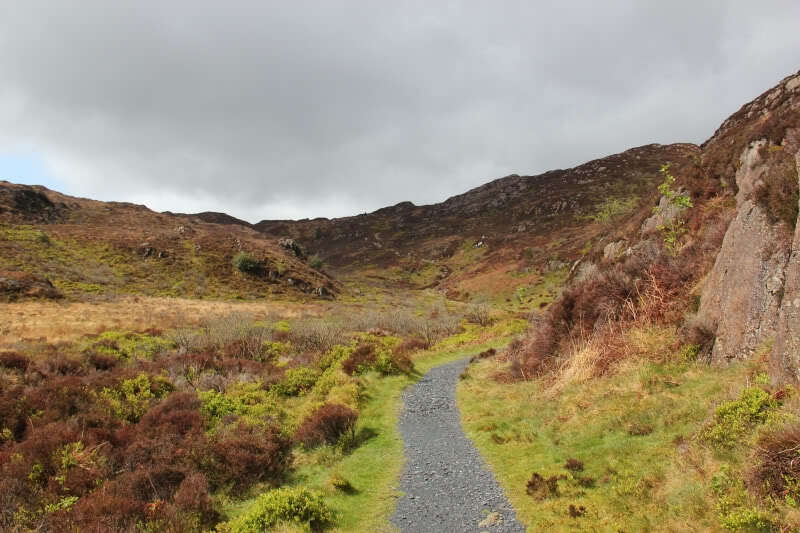 I wasn't sure how best to ascend Yr Eifl, so I just followed tracks that were heading in the right direction. 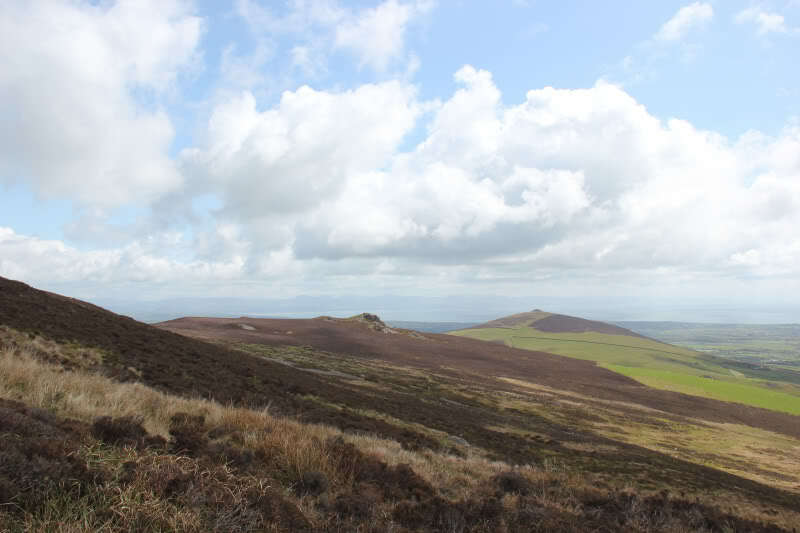 It was nice to get blue-sky views across the Lleyn peninsula – a complete contrast from my ascent of Gyrn Ddu the day previous. On seeing Caergribin, I considered ascending it on the way back. 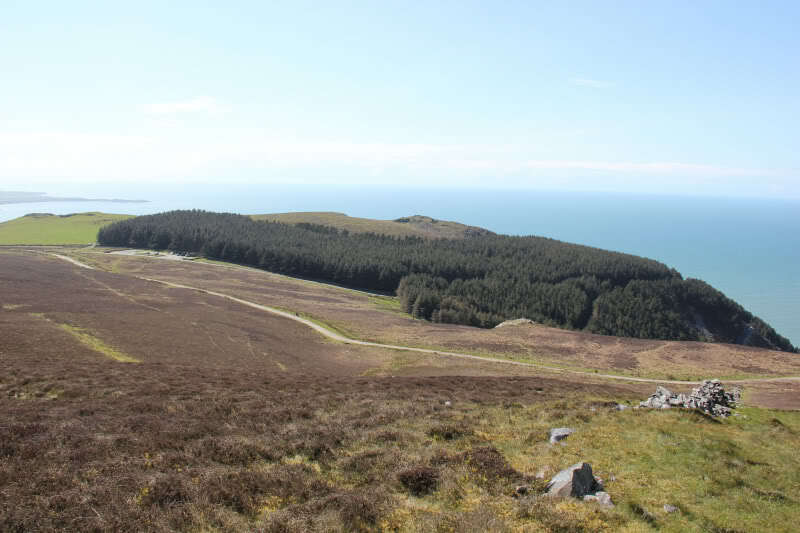 Looking across the peninsula, I could see Mynydd Rhiw, Carneddol, Carn Fadryn & Garn Boduan all ascended a couple of days previous. 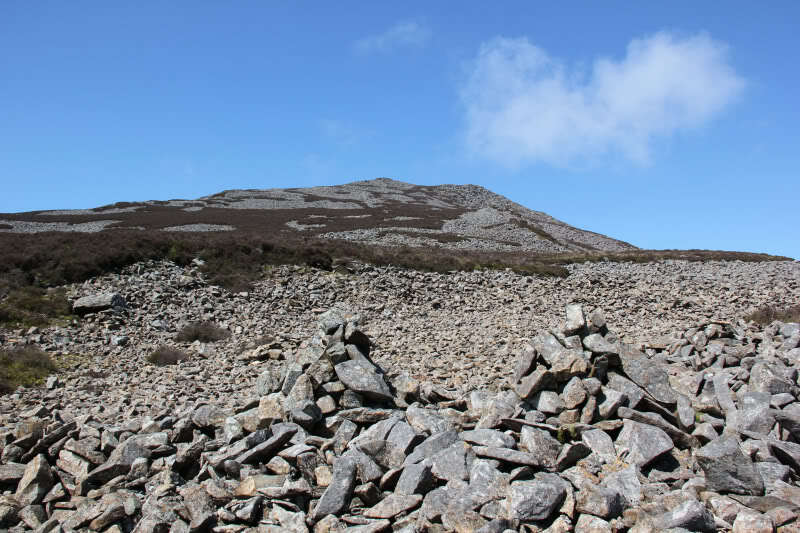 As I made a rising traverse round Yr Eifl, I got my first view of neighbouring Tre'r Ceiri. 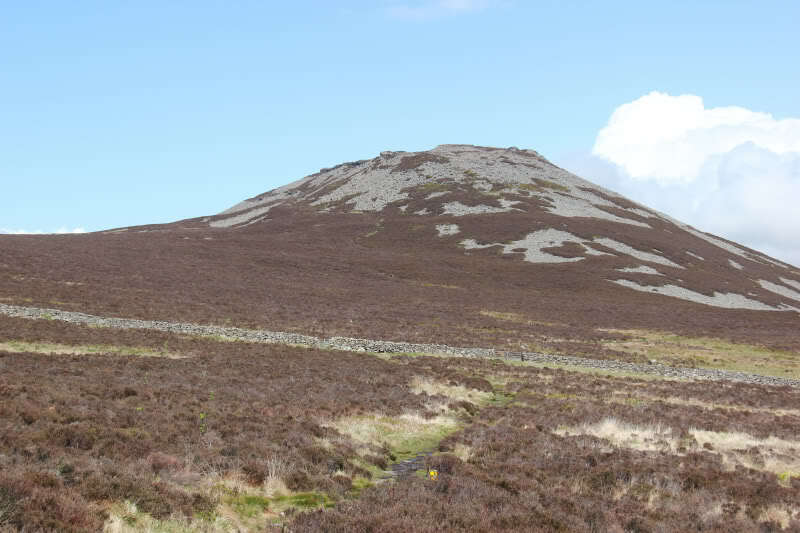 I didn't know of this fantastic wee hill as it isn't currently in the Database of British Hills. Zooming in with the camera, I could see an impressive fort on the hill. 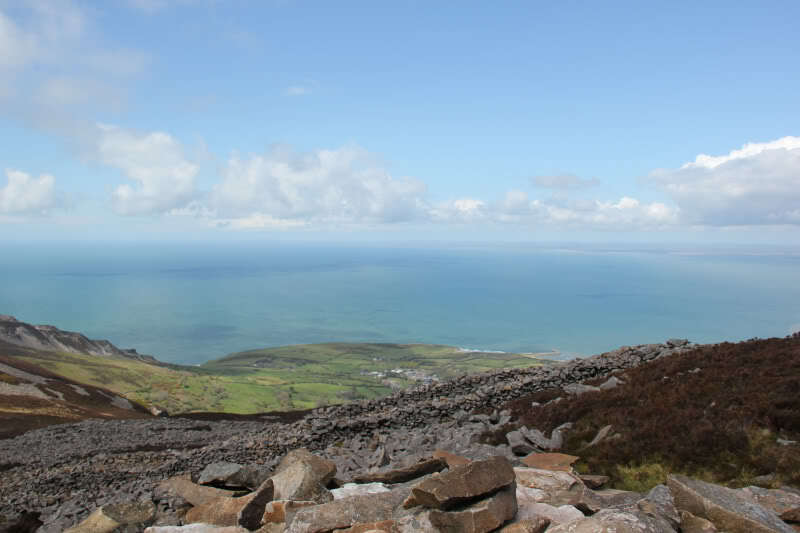 My mind was already made up, I would be ascending Tre'r Ceiri after Yr Eifl! 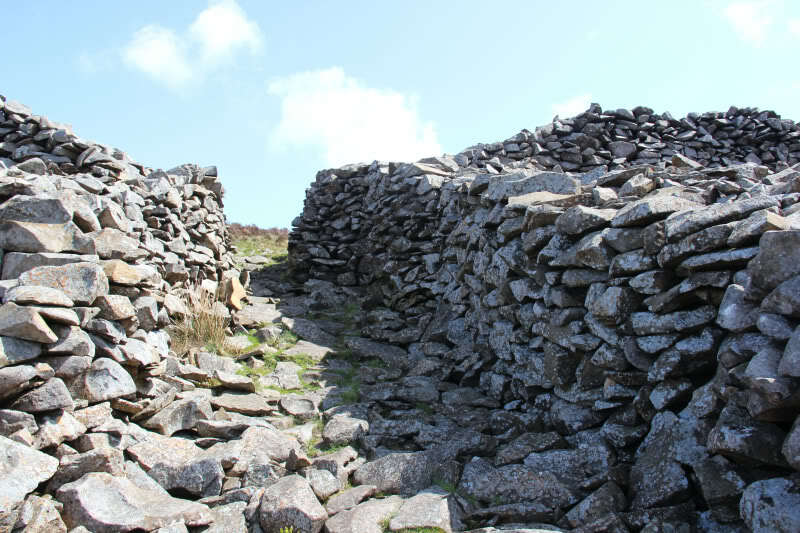 The ascent of Yr Eifl was quite straight-forward, as I found a reasonable path ascending all the way to the summit. 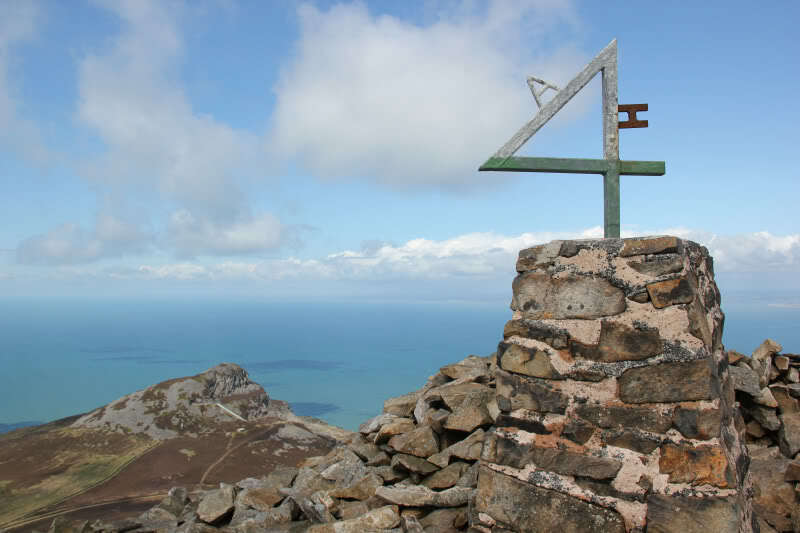 The summit trig point has a bizarre metal number “4” cemented into it with the letters “A” and “H”. From searching the internet, I haven't been able to find out what this signifies. 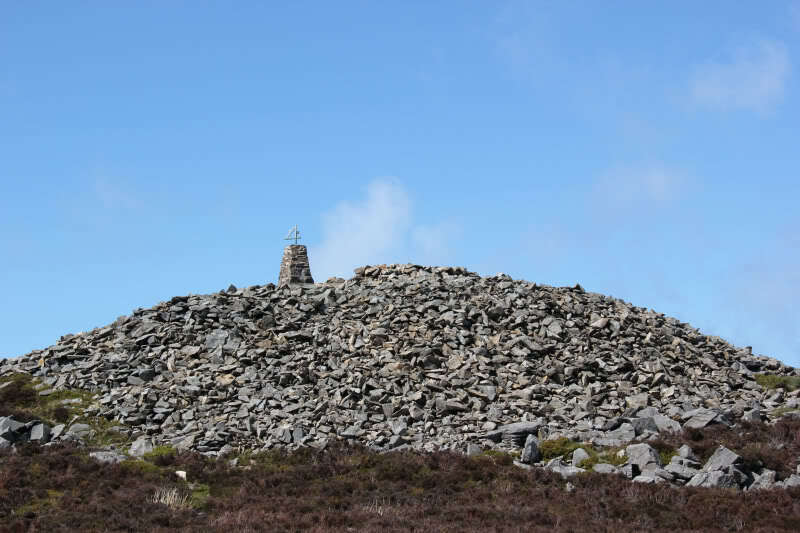 Yr Eifl North Top also looked impressive from the summit of Yr Eifl. 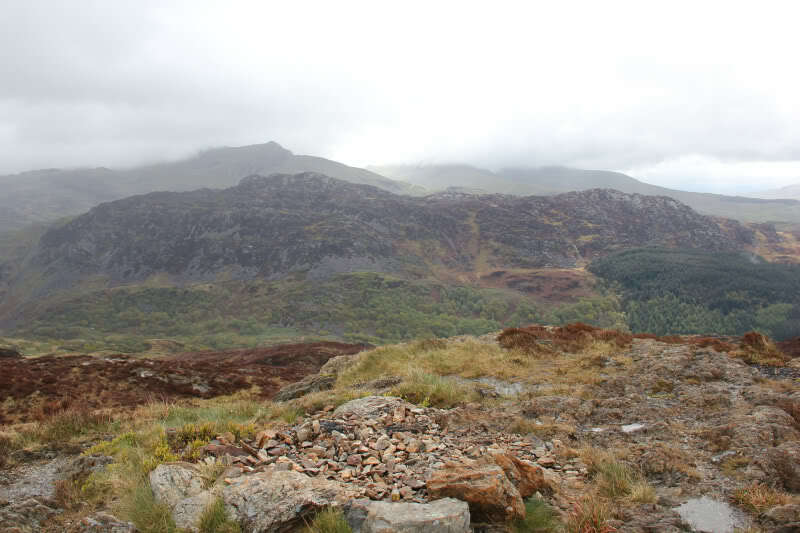 It was great to get a view across to Gyrn Ddu – ascended the day previous in awful weather. So that's what it looks like! 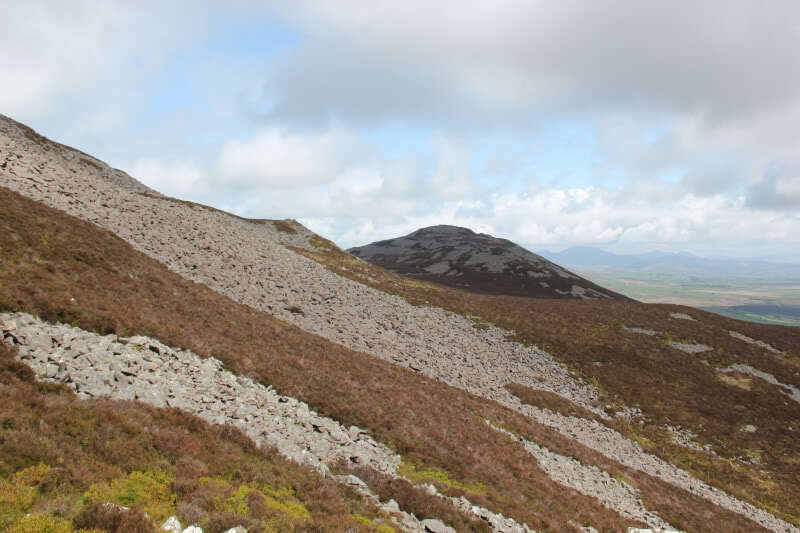 From the summit, I found a path descending towards Tre'r Ceiri, which I followed all the way to Tre'r Ceiri. 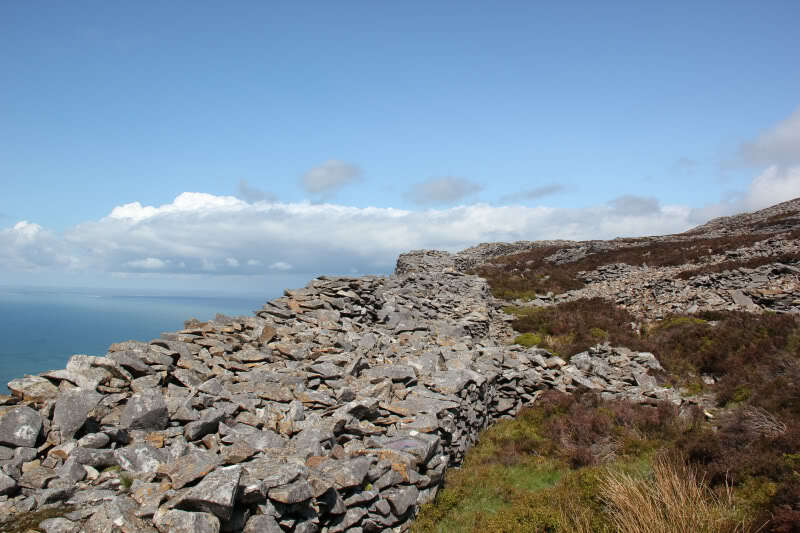 The walls of the Iron Age fort are still really high. It is thought that this fort was constructed in 100BC. The fort skirts right round the mountain, with numerous circular rooms, doors, etc. I thought it interesting to see a door lintel being used in something so old. However, that got me thinking of seeing them in temples in Egypt which are considerably older. 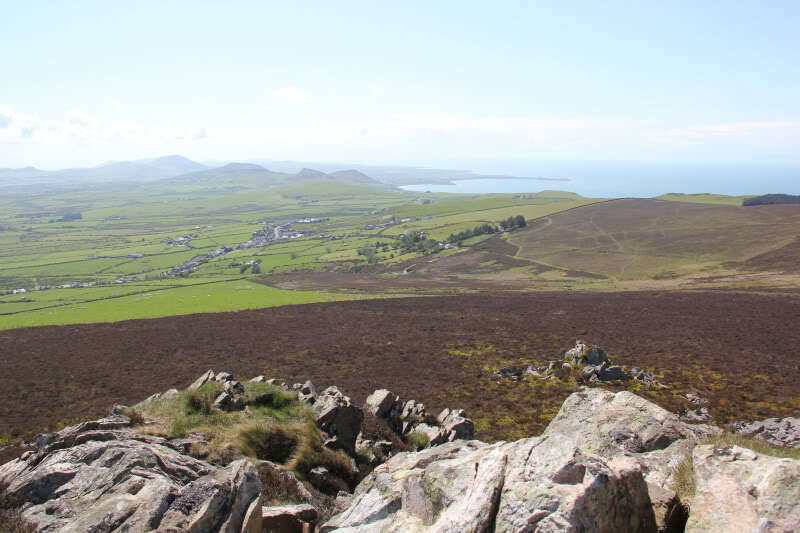 I got a great view across to Gyrn Ddu from Tre'r Ceiri. I could see the boulderfield summit and the 470m top that I visited. 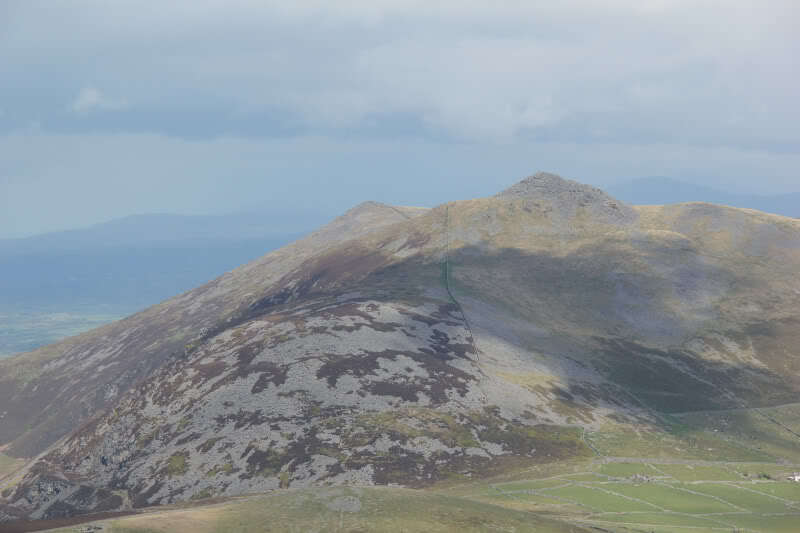 From the summit, I could see that the cloud was still quite low in Snowdonia. A good decision to head West. I descended via a waymarked path. 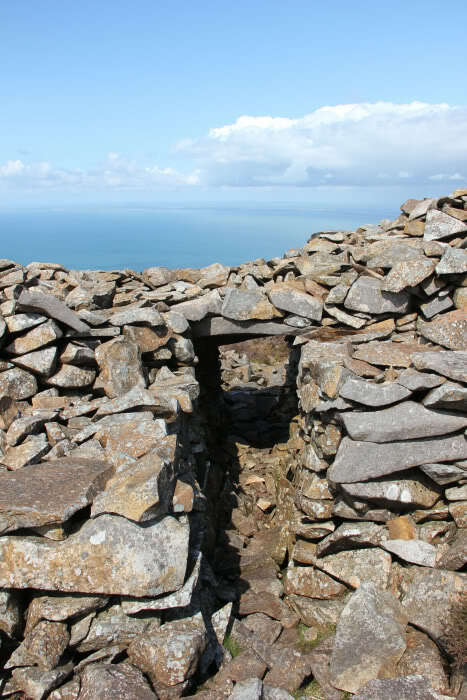 To see the fort at its best, forget the waymarked path. 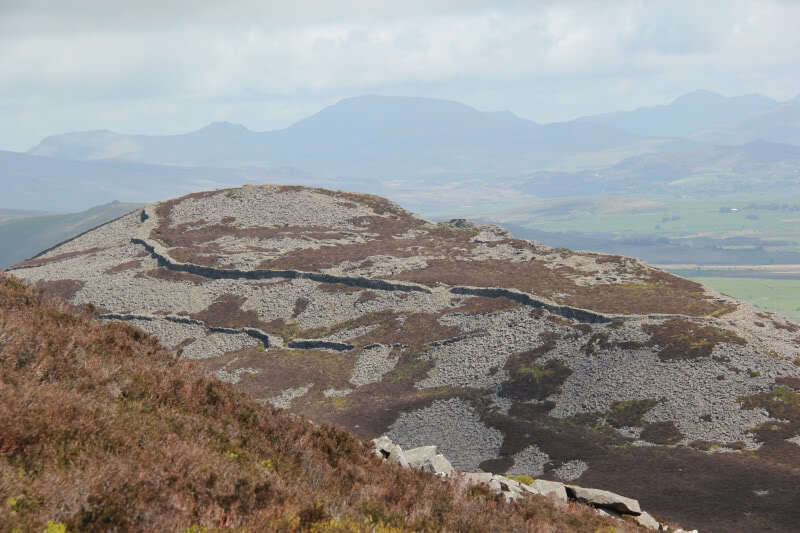 The path from Yr Eifl gives much better views of the fort. 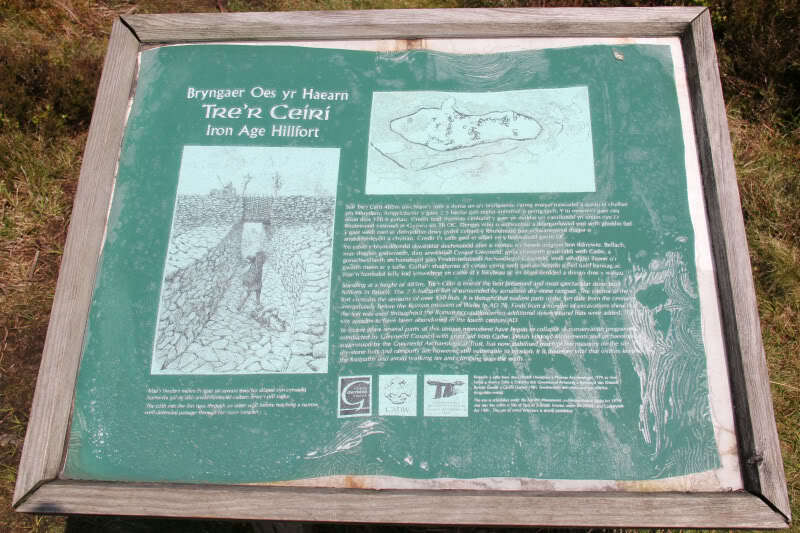 As I skirted back round Yr Eifl, I took a short diversion out to Caergribin. I then continued to skirt round Yr Eifl to get back to the car at Mount Pleasant. 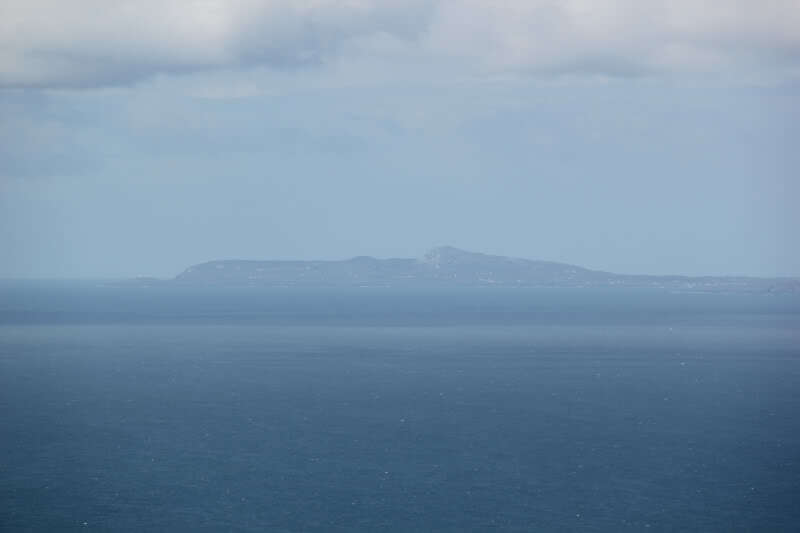 I could make out Holyhead Mountain and Holy Island in the distance. 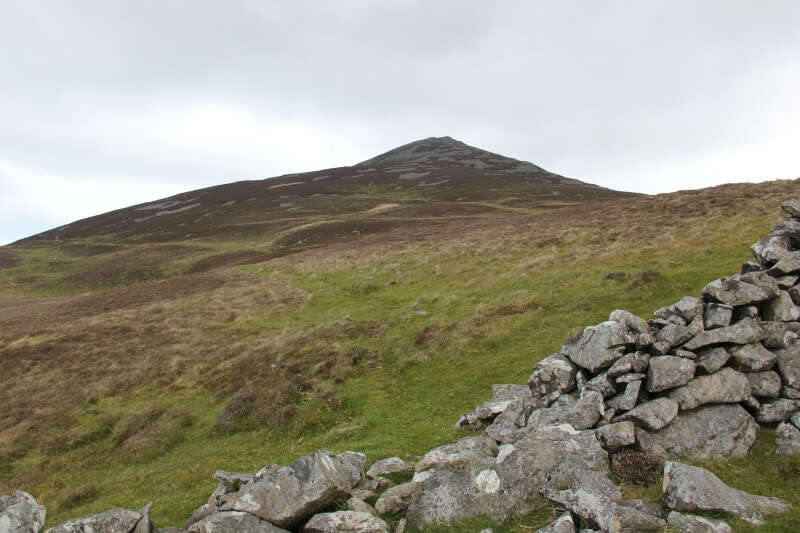 It hardly seemed like almost a week had past since I ascended this other great wee hill. 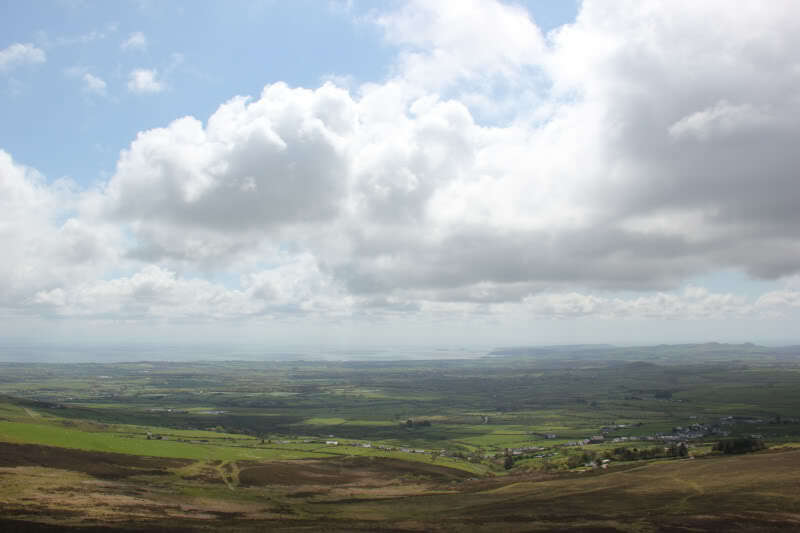 Yr Eifl is a superb hill. Combined with Tre'r Ceiri it is quite outstanding. 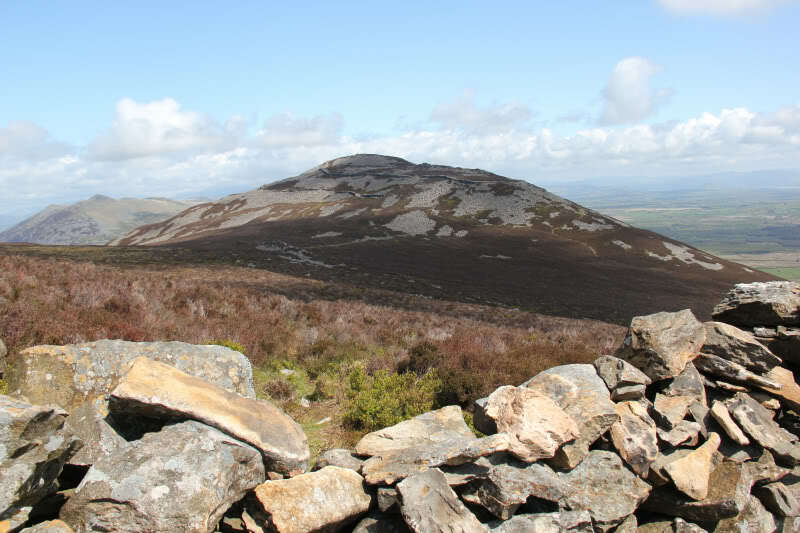 In some ways it reminded me of Bennachie back home, but even better! 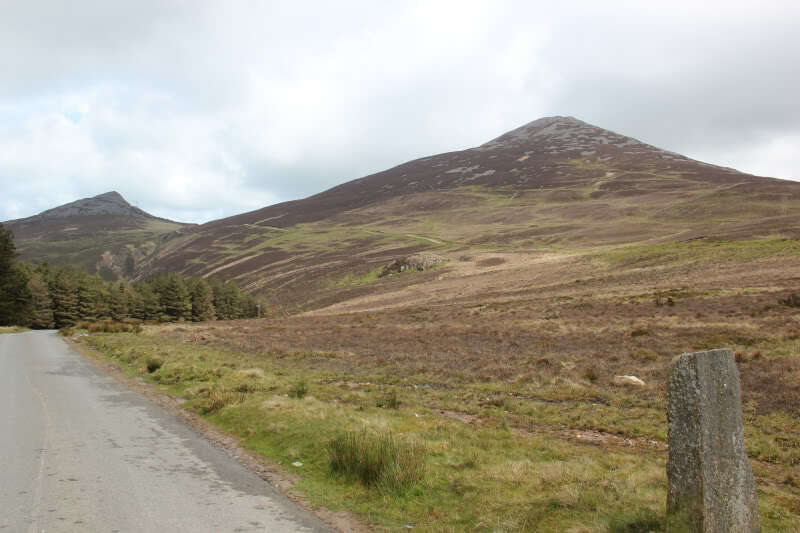 These were my final hills in this trip to Wales. 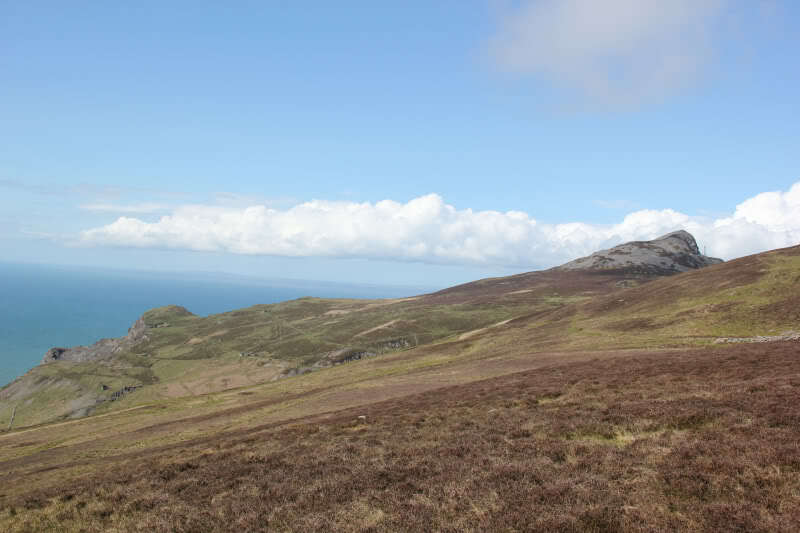 Great Orme and Holyhead Mountain were superb small hills to start the week. 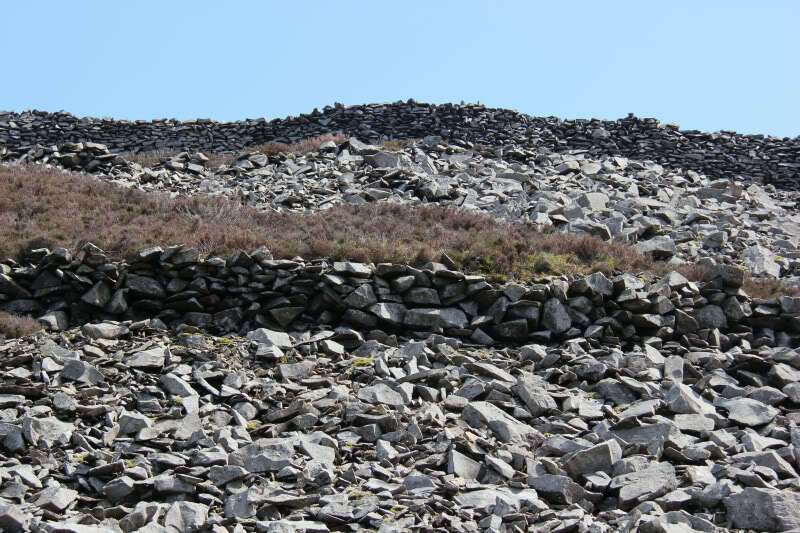 The traverse of the Carneddau was a long fantastic day. 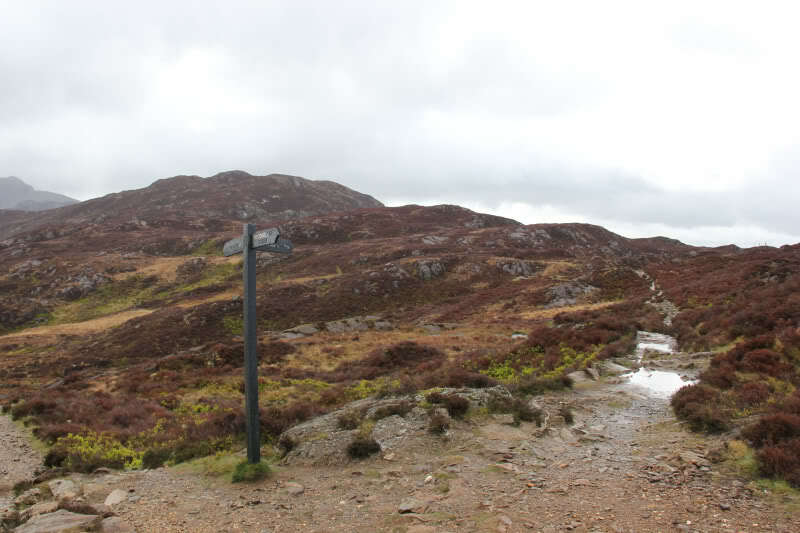 Moel-y-Gest above Porthmadog was a good wee hill. 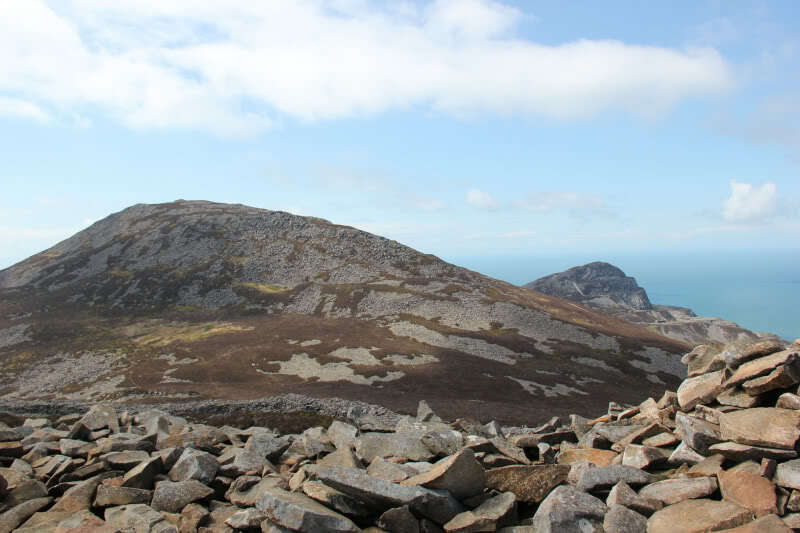 The geology of Glyder Fawr and Glyder Fach was incredible. 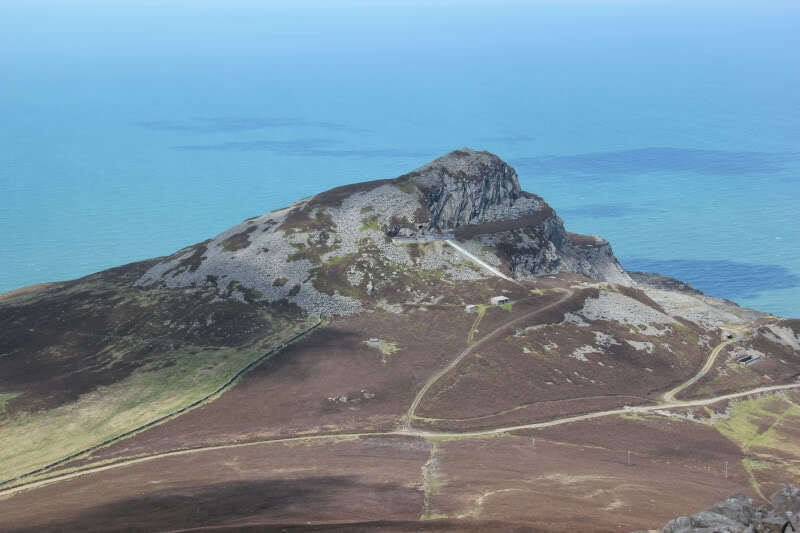 Several of the Lleyn Peninsula Marilyns were also good with Yr Eifl superb! 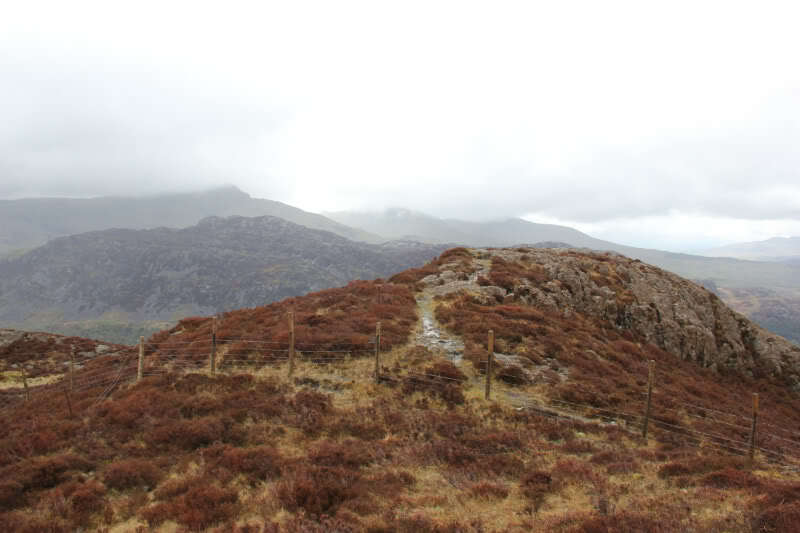 The weather wasn't as good as it could have been – no ascent of Tryfan or Crib Goch, which can both wait for a future visit. 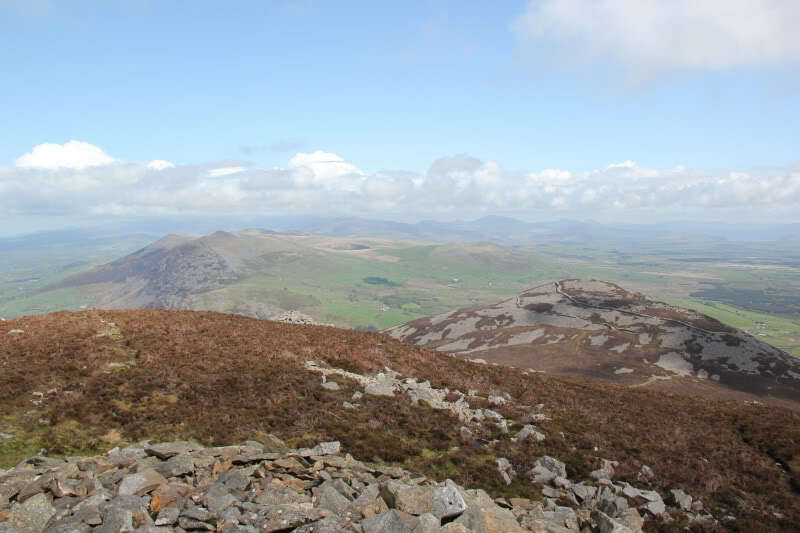 But I'm not complaining, as there are lots of other great hills in North Wales. 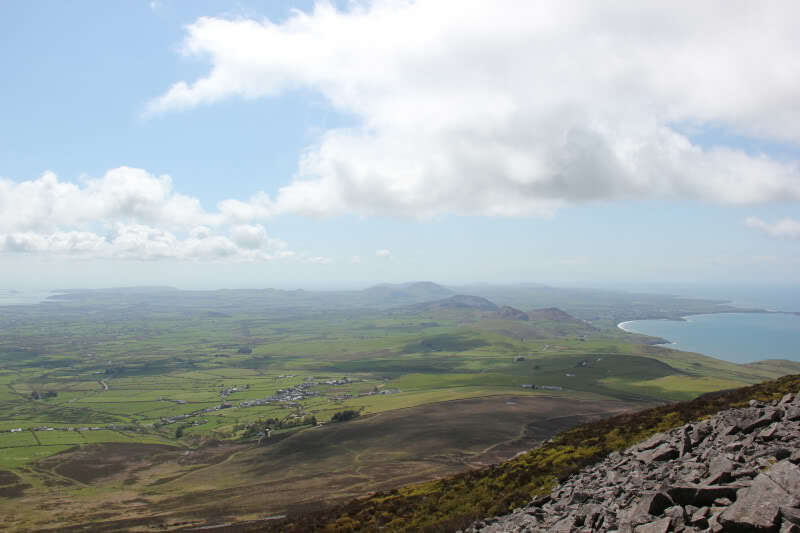 In the past week I have ascended 9 Furths (Welsh 3000ft hills), 15 Marilyns, 12 Hewitts and a HuMP as well as the outstanding unclassified hill Tre'r Ceiri. 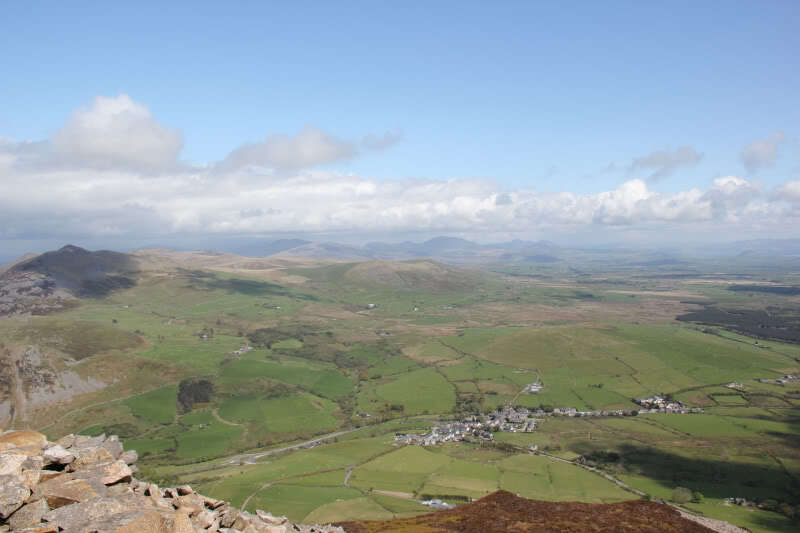 Not to mention Ingleborough and Simon Fell en-route to Wales. No wonder my feet ache .